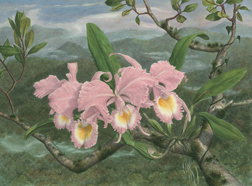 Original watercolor painting by Rose Ganucheau. The petals of this Lily flower were still crinkled from opening. They were soft and delicate and almost translucent.